The library welcomes your donations. We are seeking newer materials in good condition (please no mold or mildew, insect or water damaged items). We cannot use textbooks or older sets of encyclopedias. We can furnish you a tax donation letter to submit to your tax preparer. If the library cannot use your donation, we will seek another place of use which may include other libraries, literacy organizations, charities seeking books, the museum in the case of historical items, or sale by the library. noted for Library donation. The Big Rock Historical Society is a 501(c)(3) corporation. 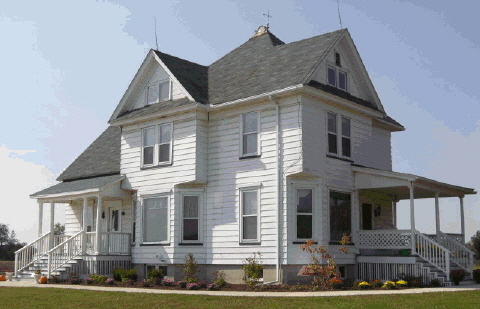 Big Rock Library is a special library under the direction of the Big Rock Historical Society. It is not supported by taxes like public libraries, so any amounts donated are much appreciated. Printer ink cartridges and paper. Alcohol wipes and Kleenex. Sidewalk salt (safe for concrete) and a snow shovel. We are always in need of new DVDs and children's DVDs. We could also use a TV for viewing DVD's.